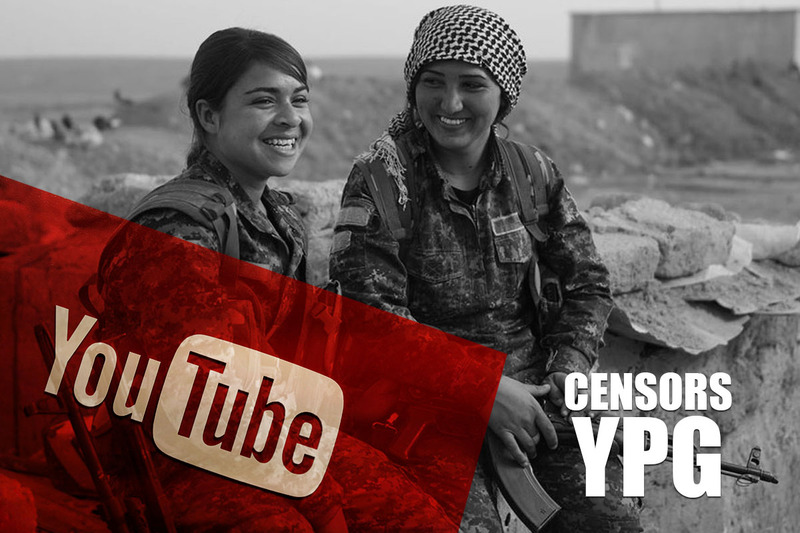 The American video-sharing website YouTube on 23 August shut down the People’s Defense Units (YPG)’s YouTube account for violation of the site’s guidelines. The site did not give a specific reason for the violation of its rules and regulations, only sending a message saying the account had been suspended, to the account’s admin. The action is an attack on free speech, but also the YPG and its struggle for democracy in Rojava-Northern Syria. It also deals a blow to the YPG’s battle against Daesh (ISIS) on the ground in Raqqa and on social media. The YPG has not uploaded any explicit footage or videos of war, instead focusing on the rescue of civilians and the heroic struggle of its fighters and the fighters of the Syrian Democratic Forces (SDF) and Women’s Defense Units (YPJ). Meanwhile YouTube continues allowing Daesh terrorists to upload atrocities and propaganda to their accounts. Atrocities committed by the Turkish army and its affiliates are also freely distributed on the American website. The YPG Press Office believes the attack is a political decision and part of a concentrated effort by certain quarters to limit the success of the YPG against fascist, reactionary groups. The YPG, through its long fight against Daesh (ISIS), is struggling for the freedom and safety of humans across the world. YouTube’s closure of our website is a direct attack on this fight.